I have naturally curly hair. When my hair cooperates, it looks nice. However, most of the time my hair is extremely frizzy. I have spent many years trying to find a way to contain the frizz. I have tried so many products and nothing seems to work well enough. A couple weeks ago, a friend of mine did my hair and she used a flat iron on my hair to smooth it out and give it a slight curl. My hair looked amazing. Even better, it stayed smoothed out the rest of the day. I decided I had to get a flat iron. I went out and bought this one. I use it religiously now. I get compliments on my hair all the time. It looks smooth, gets tangled a lot less and feels soft. 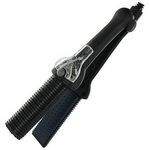 This flat iron warms up very fast, is quick and easy to use and it works great. I love it! Can use it on damp wet hair or dry hair, its great for both! I was always trumped whenever I had to go out last minute or something came up and I needed to look presentable but couldn't wash my hair as it would take time drying it in order to straighten it, so when I discovered that there were hair straighteners for wet hair I was pleasantly surprised as electrical devices were meant to be kept far away from wet surfaces. 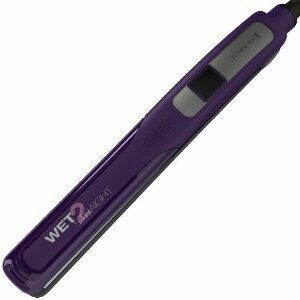 I originally have a Remington Hair straighter so I scouted for the same brand for the wet to dry flat irons and got the Remington Wet 2 Straight Flat Iron. I was so happy that I could cut out the twenty to thirty minutes of blow drying or towel drying my hair when styling it to go out. I can now take my showers in the morning instead of the night before. I was worried that it might trigger more fly away or sizzle my hair as it has when I used the ordinary straightener on damp hair but instead it left it desirably smooth and actually straightened my bothersome wavy hair dead straight and it held its straight form all day. There were no fizzy results around the crown of my head nor any unpleasant steam or burning occurring to my hair. 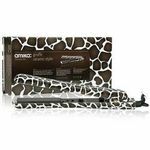 I recommend buying the Remington brand as it's always performed the best results for my long, wavy, layered hair and it's very easy to use with changing heat temperatures and clamping it on to the hair. I like this wet to straight iron because it's small. I bought this little one inch wet to straight iron after owning the three inch larger model. I like that the small iron works well on short bang sections and for small sections of hair. It seems to really steam and straighten my hair when I pick it up in one or two inch sections. I can pull the straightener from scalp to tip end of hair without any drag or pull. I've owned several small one inch irons that pinched my hair and pulled it out. I don't have that issue with this particular iron. This iron runs smooth through my hair even when it's wet. When my hair is dry this iron works just as well as wet. I can set this iron on high to straighten while it's damp or wet. I can set this iron on low when my hair is dry. This iron would probably be better for women with short or really thin hair but it works great on my long hair so long as I am careful to just do small sections of straightening. I love this for my bangs though. I can use this to curl my hair also if it's dry. I love that this iron is so versatile. Effectiveness This iron does a great job of straightening my hair. I can also use it to curl my hair. It's effective because I can straighten it even when it's still a little damp or wet. It allows me to forego the blow dryer. Durability I've had this iron for a couple years now. 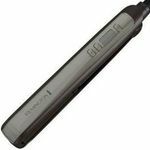 This straightener does a pretty good job of styling and straightening my hair, but it does not perform for drying. I used it to dry my hair for a few weeks when my drier burnt up and I couldn't get to 'town' to buy another right away. Two weeks is all it took to ruin my hair. It would not get my hair dry, just got it to 'damp' and it felt like straw immediately afterwards. It became unmanageable and frizzy, not like my hair at all. Even heat protecting products and frizz products didn't help. I do use it on a regular basis to straighten my hair and it works great. I love being able to adjust the heat setting lower since my hair is fine and easy to straighten. 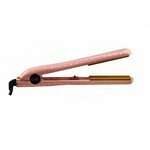 It heats up quickly, is comfortable to use, and gets in close to the roots. I have even used it to do waves in my hair and it didn't create lines like other straighteners usually do. Effectiveness Like I mentioned above, it is great as a straightener. It works quickly, doesn't make my hair frizzy, and is easy to use. However; it does not work on my hair when wet. The packaging says that it is non damaging but I have a lot of trouble believing that. Durability I have had a few of them over several years and they have held up pretty well. I do not use them often, maybe once a week and I don't travel with them so they don't see much abuse. The last model I had broke where the cord plugs in the bottom of the straightener and the cord didn't want to stay put anymore. I definitely would give Remington an a+ for effort. But their execution is a little lacking. I love the idea of this straightener, because I hate having to wait for my hair to air dry before straightening it. I can't really use a hair dryer because it makes my hair absolutely crazy. So I thought this flat iron would definitely be the one for me. The first time I tried it my hair was soaked. It took forever, and by the time I was done, it looked like I had blow dried it. I did it again a different day, where my hair was only slightly damp, and it worked a little better. My hair was still pretty frizzy though. When my hair is dry, it works perfectly. So as a flat iron by itself, this is a great product for the price. But it doesn't really work the best for what it's supposed to do. I had recieved this as a gift and it is fantastic. I have thick curly hair and this really does the job well. I have to add a few other products before l straighten to tame frizz and avoid over burning my hair. I do not use this straight out of the shower, but have used it when my hair was still damp. It does the job fairly quickly, which is a great point for anyone with a lot of thick hair like myself. My previous flat iron was amazing but I was unable to find a replacement after it died. This is the first I have found to compare it to. I would surely buy it again if this one ever stopped working. The only downside which I have found is that it is so thin. Ideally I would like a wider flat iron to get more hair done even faster but this is the only thing I can 'nit pick' about it. 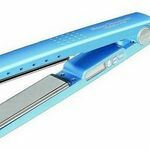 It heats up fast, which is wonderful and does not get too hot on the outside, so there is never any worry about burning your hands while you straighten. I really like the fact that you can control the temperature on this flat iron. There's an option to use for steam... which I see as beneficial if you are trying to use this flat iron to straighten wet hair. It does leave my hair with a burnt smell... but maybe that's because I had the temperature too high. This flat iron is very durable. I have dropped it several times, and haven't had any problems with it working so far. I have noticed that the color of the flat iron (mine is purple) has faded over time, which I didn't expect to have happen. Maybe that is a part of the normal wear and tear of using this styling tool. I would not recommend using this product on dripping wet hair. You will have to go over each section of hair several times to get it dry, which can cause hair damage over time. Instead, I would recommend using this styling tool after your hair has air dried, or after you've toweled dried your hair before using this it. Before I got this straightener, I had hair that was all the way down my back to my waist, so I never had time to fully let my hair dry before I straightened it. The first time I tried to use this straightener, I was not aware when it said "wet to dry" it actually meant "damp to dry," so I almost fried my hair that day. After I knew how it actually worked, I was a lot happier when how this product worked. This would actually dry and straighten my hair at the same time and it would actually stay straightened most of the day too. The only bad thing with this, and I know it has to happen, is the amount of steam that comes out when your hair is damp. The steam has actually burnt my hand a few times. But besides that, this product does a good job drying and straightening my hair. One thing I love about this product is how after you turn it off but forget to unplug it, it will actually beep loudly to remind you to unplug it. Effectiveness This straightener would keep my hair straight through the end of the day as long as I wasn't out anywhere humid. Durability I have dropped this product on the floor many times and it has never broken. I'm not the kind of person who likes to spend a lot of time doing hair and make-up. I want fast and easy. This little iron is just that. My wavy/frizzy/curly hair went straight as a board with this pretty quickly. Never had it so straight. Works better on damp hair than dry, so that's an added bonus - since you don't have to dry your hair first. It saves you a step there. I highly recommend it. Just make sure you get a 'wet to straight' version, there are a lot that aren't for damp hair. And note: it's damp hair, not really 'wet' hair. It says on the package, so the 'wet-to-straight' is a little misleading though. But if you have time to let your hair dry a bit on it's own, great. I will straighten my hair more often for sure. I was done in about 5 mins for shoulder-length hair. Effectiveness It did what it supposed to do easily and quickly. Durability Can't comment on this since I only just got it. But it seems sturdy so hoping it'll work for a couple years at least.